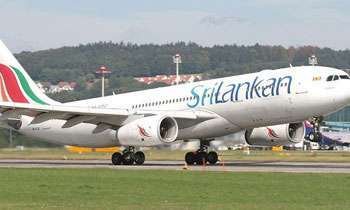 The government decided to create a Special Purpose Vehicle (SPV) under Treasury to absorb the total liabilities of SriLankan Airlines after writing them off its balance sheets, a Minister said yesterday. Public Enterprises Development Minister Lakshman Kiriella told Daily Mirror it was a pre-requisite to strike an equity sharing arrangement with an investor to develop the national career. He said the national career should start with a clean balance sheet with no debt burden. “We had talks with the Finance Ministry a couple of weeks ago and decided to create the Special Purpose Vehicle. It is an entity to transfer the liabilities of the national career,” he said. The Minister said a lot of investors including foreign airlines had shown interest in investing in Sri Lanka’s national career, but outstanding debt volume, accumulated over a period, had been deterrence. He said the airlines from the countries such as Japan, China and Germany were keen to partner with Sri Lankan Airlines under an equity sharing arrangement. “We are contacted by a lot of investors. There are several airlines from China alone. But, the liabilities are a problem,” he said. GOOD DECISION . From now on it should record an operating profit . Don’t jump the gun and if Professor’s party wins the next general election, then same story again. Not the Chinese please. Just give it to some Middle Eastern or Western Airline. OMG !!!! Rs.461 Billion Writeoff!!! That's How many Mahaweli's!??? For that kind of money!! Could have built 1000 bed Hospitals in Each District in SL !!?? Wow!!! We work day and night, pay taxes, and we feel SO SAD to see the money being used to pay for losses incurred due to bad management in the "career". Unfortunately the "career" has passed the point of return and nothing will make it profitable again. Noce. So the poor man in the village has to shoulder the bungling of both the MR, MS and RW governments. Just liquidate the air line. Bring the loots to justice. Who will absorb the responsibility for this catastrophic loss? The loots of SriLankan are in public domain. One used it like an taxi. The the other appointed friends to run the organization. All in public domain. MR and stooges should not have kicked Emirates out for not giving seats. Then appointed incompetent people like the “brother in law” and Sajin, Namal to run it to the ground. Then along comes RW and appoints cronies and finishes our national carrier. They all turned a Rs 8Bn profit (Emirates time) to Rs 461Bn loss. Now RW style sell to China or India. So sick of watching this madness of race to the bottom. Does this acronym mean "Sleazy Plundering Venture" (SVP) for government VIP's? Otherwise, how can anyone justify a loss making business that is Rs. 651 billion and counting. NO ONE WILL BUY IT ! . A massive LOSS making Airline. We , the tax payers cannot absorb this loss making airline anymore. Please dissolve this airlines. You elites/politicos has robbed the nation enough. This is for politicians, for every citizen, it costs Rs 10,000 to keep this sinking airlines afloat. Indirectly you guys sucking the blood of poor farmers and struggling citizens by taxing them. Mahinda dissolved the successful Emirates deal, appointed his clueless brother in law, created Mihinair and built an unwanted airport. Some people want him back. Nadi, sadly our ignorant people dont see that! Yes the present government is slow, because they dont have much to deal with because MR and his family ran the country to the ground. What a pity? Where are the auditors? A massive loss does not accrue overnight. Get hold of the responsible rascals, present them in courts, confiscate their wealth, put them in jail and brand them as traitors for ever. They have to pay for the sin of swindling the whole country- the whole bunch of them and their generations. We the citizens have to forego daily meal for their luxury. THIS IS A MUST AND A PRIORITY. Cannot agree more Mate! Bring them to books nothing but the: the whole bunch of them and their generations!! Yes, including the generations to come - 7th mutu paramparawama! Including the 'nuts' that are running the show! Whatever vehicle you call it, the entire burden of loss due to mismanagement running into billions of Rupees will be put on the people of this country and then the newly cleaned airline is going to be handed over to a foreign investor to make profit. This is nothing but a mediocre solution. 461 Billion! tax payers, wake up! Good, maybe arrest the rogues responsible as well? Maybe then proper justice will be served. After all, its our money the rogues scammed. Although commendable to get the airline profitable and help find an investor. The debt burden is then passed onto the taxpayer and little or no accountability of how this disastrous situation happened and the perpetrators brought to book.Basically the equivalent of several billion dollars of extra public debt. A fine piece of financial engineering indeed! Arrest all the ones responsible, enough is enough, start to make the country progress. All these rogues waste our money. From an investor point of view it is the right thing. But on the other hand government should prosecute the responsible people who ran the airline for a nose dive because it is people of this country who is now going to pay it through taxes. So, a massive 461 billion to borne by the tax payers! Will the culprits who caused these massive losses be punished adequately address? Will there be guarantee that the airline will run independently and efficiently without political interference and political appointments? Good move! Please remove all the unproductive heads too before giving this to another partner. They'll continue to play their gimmicks thruout and the airline will go nowhere! That’s sad, and isnt the same bunch of trolls trying to come back to power? Pretty sure all the ex-rogues will be appointed again if they do, do sri lankans ever learn? Seems like having a plan at last....! Of course the treasury is public money and this is not the first or 10th time that Sri Lankan is getting a bail out off Public Money. When is this going to stop???? Rs 461 billion mistake of one person! Rs.461 billion... a SPV. USD 2billion. Wow great!! !Can this SPV stand alone as an entity to even out the liability from the profit which parent company makes in future? Or is it another bailout scenario which treasury would need to cover liabilities with tax payers money? The US secretary will be president soon. Then another gotair will be created. Then down the line more losses to the people! RW sell every profitable immovable assets in Sri lanka why can not sell it totally as it is a moveable ,before incurring further loss. Another deal down by RW to save MR's stooges. Probably MR made the request and RW obliged.....Just wish there will be alternative party to vote at the next elections besides of the common RW, MR and MS thieves. Only and Last hope - JVP . - The whole port city project investment worth 12Billion USD.- Dhammika Perera's network 0.5Billion USD. :)- - - -Sri Lanka AirLine's Debt 2.4Billion USD.- - - -How a carrier like SL earns such a debt? Remarkable. Does it allow free flights?Even if we total up all the debts of Sri Lankan Below Poverty Line families to banks would not come up like 2Billion USD. Government should provide bail or SPVs for such things. Liabilities will include the loans taken to purchase airplanes. Why are these taken out of the balance sheet. Aren't the investor using them to make a profit? What a plan! How much of it is under MR and How much of it under Ranil/My3 ? let the tax payer told under RTI act ? Ultimately it's the burden on the general public......Not on any politician or officials. Of course! It is the tax payer who vote the politician. Take it, ruin it, steal the money, drive it into the ground then make the tax payers pay for it. Total corruption and incompetence at it's best. Hope you get a good back-hander when you sell it. You only have 12 month before the government changes so be quick. Is it the general public who has to foot the bill ultimately for the mismanagement and fraud that had taken place? All those responsible for wrong doing is going scot free?? Without giving it to another country partnership this company will not profit, then it will run like any other profit making venture. Otherwise too much of government involvement and looting continues. Thieves stealing and bill send to people to pay.this robery government is same as mahinda government.punish the thieves and protectors of thieves. Who were responsible for the losses. Finally recover losses by looting from poor again by way of tax. Why not impose an another tax?. No way out for poor tax payer. How about a SPV for solving ETI ,GK kind of cases ?? Close down Sri Lankan airlines. Mismanagement by a few, Corruption by many becomes national liability funded by the people through taxes. How much can people take from thieving politicians and their stooges???? Is ti a must to have a national carrier particularly when it is making billions of rupees losses? All the decades like this,but never privertise.if privertise cant steal.so never pirvertise government robery businessess.keeping under government to steal more. Let's start by reducing the excesses in public enterprises and austerity measures enforced at all levels of government. We may see the books turn from red to black again. Voters have borne their fair share of the burden, maybe the leadership should lead by example in tightening their belts. Srilanka government is a robery government.pian to president are thieves.